Current Status On March 27, 2018, the competition was announced. The deadline for application was May 4, 2018, 17.30 CET. Among the selection phase 30 applicants were admitted to phase 1 of the competition. End of August 2018 the competition materials were made available as digital files at the platform of the European Commission. The deadline for the submission of entries of competition phase 1 was November 14, 2018 and November 21,2018 (models). On January 17/18, 2019 the jury meeting of competition phase 1 took place in Brussels in order to choose the projects for further processing in phase 2 of the competition. 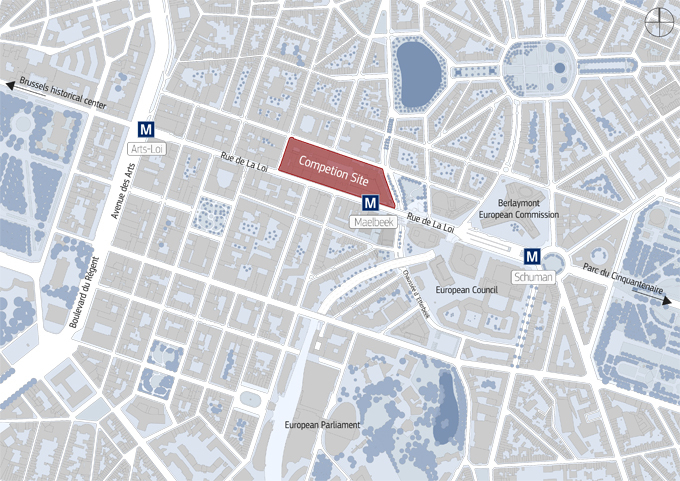 Introduction The European Commission launched an architectural competition to redesign the Loi 130 site located in the rue de la Loi 130 in the European Quarter in Brussels (Belgium). The Rue de la Loi is the main axis of the European Quarter and currently consists mainly of office buildings. In line with the 2008 masterplan adopted by the Brussels Authorities to improve the urban quality of the area, this office district is to be transformed into a neighbourhood where offices, housing, retail and public spaces coexist harmoniously. The Loi 130 redevelopment project will enable the European Commission to contribute to the urban face-lift of the area where its headquarters are located. Please follow the Official Project website of the European Commission . The Loi 130 Project The new Loi 130 project will be developed in two phases. The new inner-city complex should cover a gross floor area between 175 000 m² and 190 000 m² above ground and will include offices for at least 5,250 people, two childcare centres, a Visitor Centre to welcome 345,000 people per year, 3,000 square meters of restaurants and shops as well as public spaces with green areas. 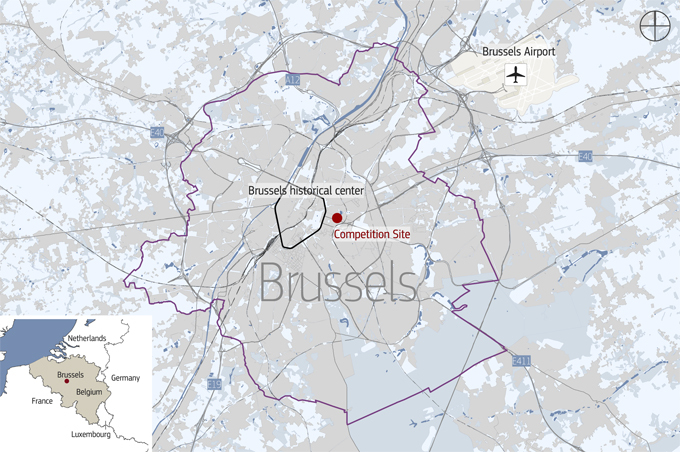 The project will also include a new entrance to the Maelbeek metro station.